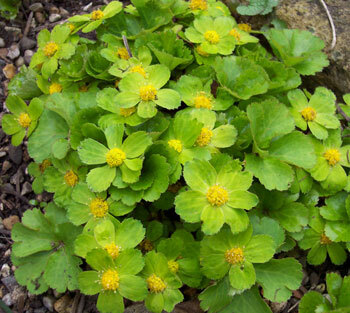 Very bright tri-foliate leaves and tight umbels of golden-yellow flowers set on a frill of green bracts in March & April. Very unusual but attractive plant that needs a well drained moisture retentive soil in sun or partial shade. Limited availability.